“My name is Gareth Morgan. I’m a member of the Seattle Mariners, currently in the minor leagues, working to achieve my goal of making it to the major leagues and having a long career. I started training at LPS probably around grade 10, on and off back then, when I first got introduced. I didn’t start really coming in on a regular basis until I was drafted, and every off-season from then I’ve been coming to LPS to get bigger, stronger, faster, and all that good stuff. I just loved the atmosphere, when you come to the gym it’s just a bunch of guys who wanna get better, everyone has the same goal, being the best they can be and it kinda gives you that motivation and pushes each other to be greater than you think you can actually be. Before I was just training at local gyms, GoodLife, stuff like that, and it’s not really the same, there’s guys in here that just want you to succeed, instead of just you, going to the gym trying to get big and strong, there’s 10 other guys in here that are hoping the same thing for you, and you’re hoping the same thing for them, so the atmosphere is just great. The training at LPS makes me faster, stronger, gives me the kind of core strength that not many guys in the field have. I feel like I have a bit of an advantage when I step on the field, and I try to take that to become the best player I can be, and take my game ahead of people around me. When I first started coming here I was probably 6’4,” 195 pounds, and now I’m 6’4,” 250. Yeah, I’ve grown a little bit, but it’s night and day. 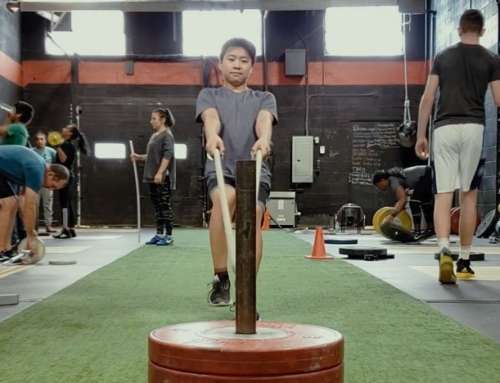 What it’s like to train at LPS is it’s fun, it’s hard, it’s kind of like a family, as soon as you walk in the door people are greeting you, everyone has the same goal in mind. When you come in here no one’s slacking, everyone’s trying to get after it, and seeing that just pushes you. You won’t come to the gym and have a bad workout, because tons of guys are watching, coaches are watching and it kind of pushes you that extra inch, that extra mile, to become better everyday. 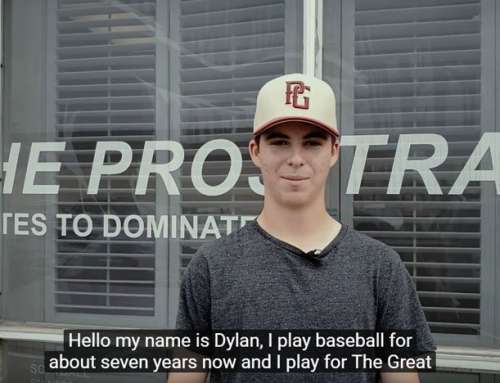 If I had to give advice to an aspiring baseball player I’d say LPS is a great choice, you come to LPS, you start doing the programs, you won’t have to worry about, oh am I gonna be strong enough to compete? That’ll be the last of your worries. Like what you've read / seen? Share it. Coach, Instructor & International Speaker. Master Strength Coach Clance Laylor has emerged as one of the most respected names in professional strength and performance training for athletes. He has found success for hundreds of top Olympians, Competitive & Professional Athletes, Coaches, and Executives alike. Founder of LPS Athletic Centre and the Athlete Activation System Certification, Clance helps athletes dominate in their sport.